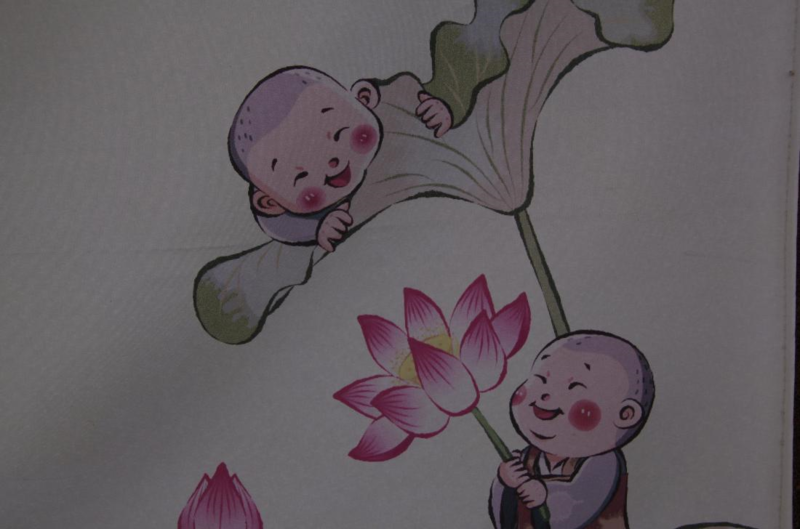 Yongjoosa"A temple full of traditions of filial piety and Buddhist practice." The area around Yongjoosa Temple, the temple well known for its filial propriety, is steadily becoming urbanized. Because of the reckless development of this area, the surrounding rice fields and forests are slowly disappearing and tall apartments and skyscrapers are being built. Due to those changes, Yongjoosa has been transformed into a temple, as a symbol of preserving the area’s nature and traditions. Yongjoosa was built in 1790 by the 22nd ruler of the Joseon Dynasty, King Jeongjo (1752-1800) in honor of his late father, Prince Sadosaeja (1735-1762). This place was the former site of the temple Galyangsa, built in 854 C.E. by the Shilla King Munseong. 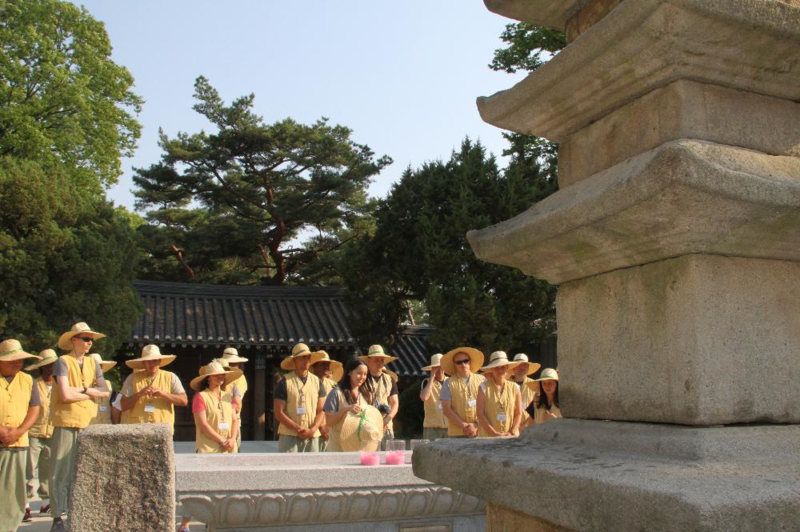 King Jeongjo had moved his murdered father’s tomb from its previous location in Yangjoo, Gyeonggi Province to Hwasan. He then established a temple to protect the royal tomb and to pray for the repose of his father’s soul. The night before the opening ceremony, the King dreamed of a dragon grasping a Cintamani jewel (magic pearl) in its mouth, ascending to heaven, and so he named the temple Yongjoosa (Dragon Jewel Temple). Therefore, Yongjoosa is known as “The Original Temple of Filial Piety”, where Buddha's nature and filial piety go hand in hand. Yongjoosa hasn’t changed a lot from the time of its foundation until now. When you pass through the Iljoomun (One Pillar Gate), the trees lining the road stretch upwards, forming a canopy that covers the sky. The stone wall surrounding the temple blends well with the outlying forest, producing a cozy atmosphere. Once you pass through the forest, you reach the Daeoongjeon (Main Buddha Hall) which is the central focal point of the temple and well placed in relation to the other buildings. In the Main Buddha Hall, there is a Thangka (painting behind the Buddha) attributed to the artist Hongdo Kim (1706--?). The giant bell in the Yongjoosa bell tower is said to have been cast in the beginning of the Goryeo Dynasty (918-1392 C.E.) But more than anything else, if you mention Yongjoosa, the tablet containing the “Sutra of Filial Piety to One’s Parents” comes to mind. This was created by King Jeongjo in 1796 to repay his parents’ kindness. 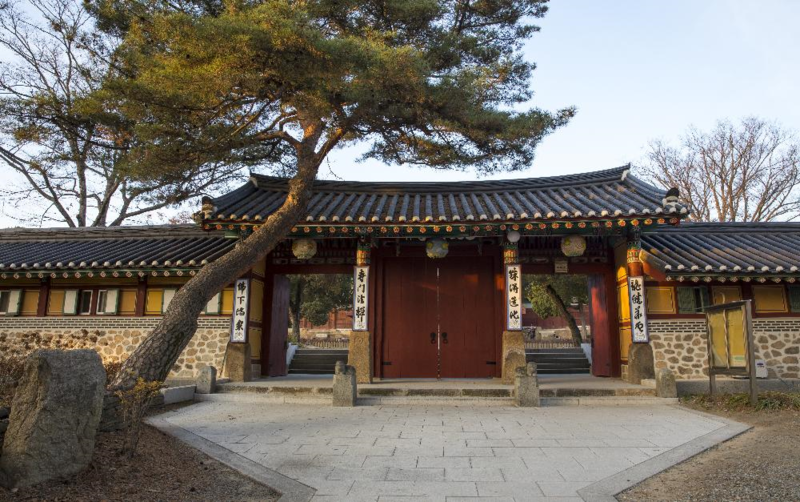 At Yongjoosa, there is a museum praising King Jeongjo’s filial piety and the sutra tablet itself is on display, as well as the other cultural treasures related to the king. 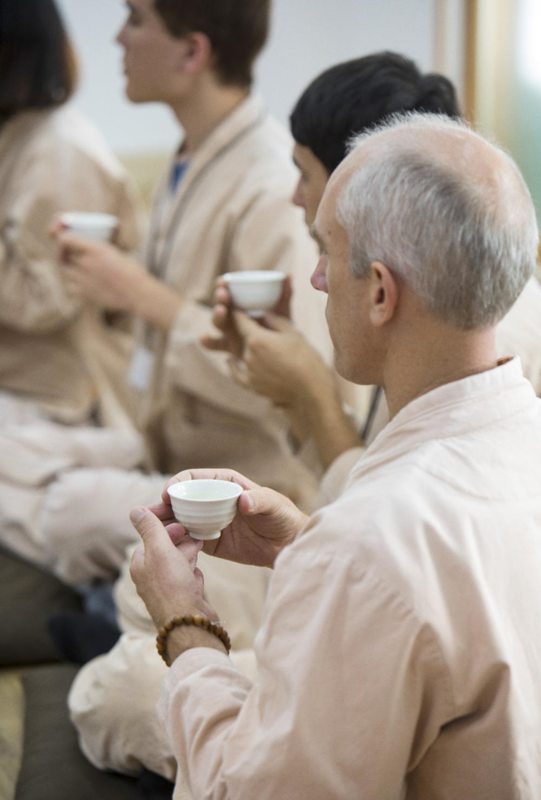 Yongjoosa runs a variety of Templestay Programs that have been designed to help us turn our attention within and illuminate our true Self. We hope that Templestay helps you to clear your mind so that you can have a turning point when you return to your ordinary life having through a wide experience of the world. 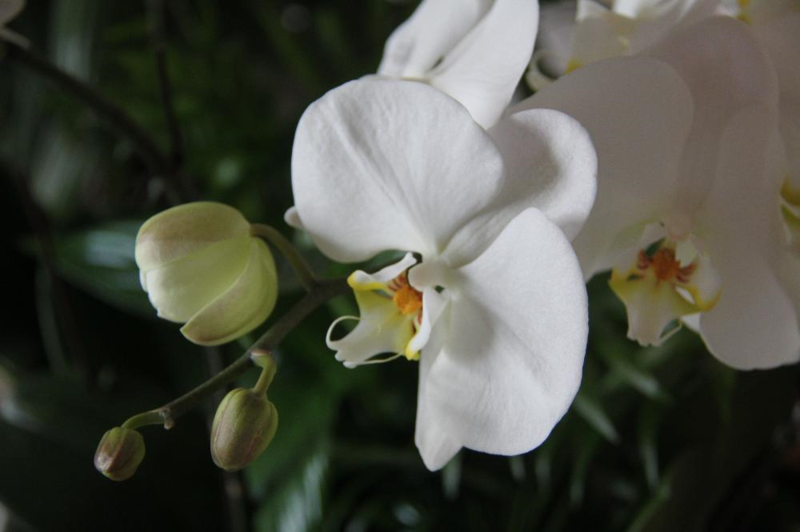 Now let's journey to Seon practice(meditation) and filial piety.